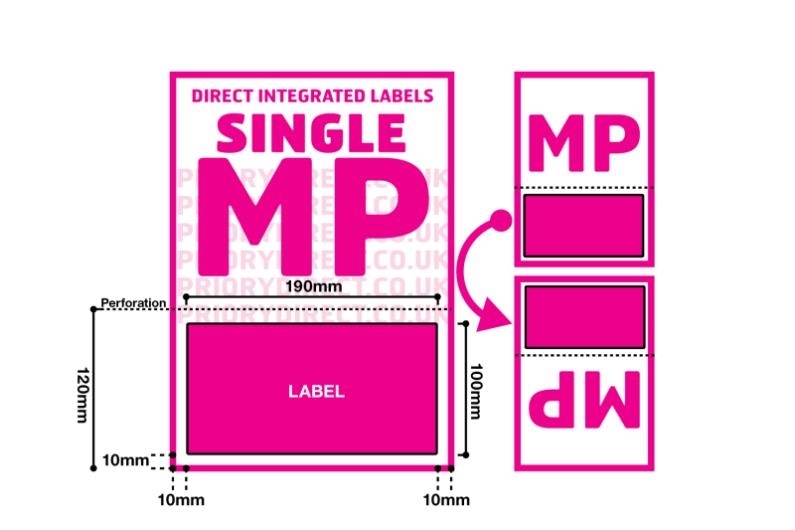 Our biggest standard single label, Single Integrated Label Style MP has a 190mm x 100mm removable self-adhesive area positioned 10mm from the left, right and foot of the page. 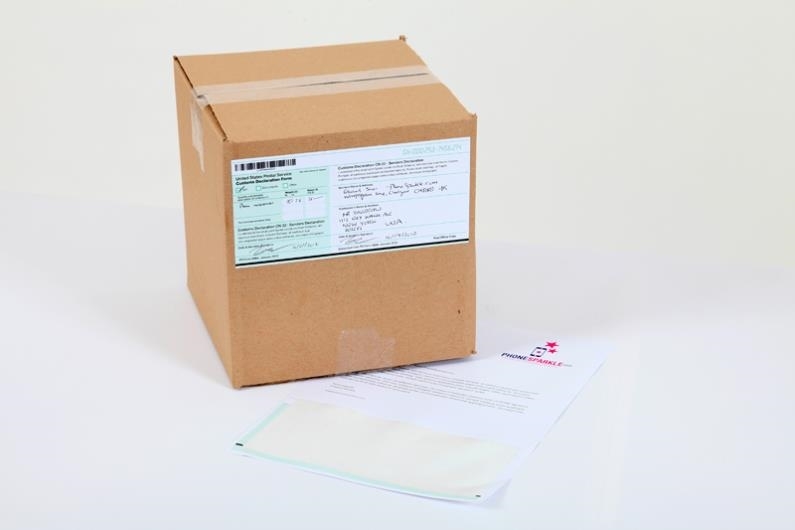 This format is popular with international sellers and pallet dispatchers who need to include a lot of information in a clear, easily readable layout. 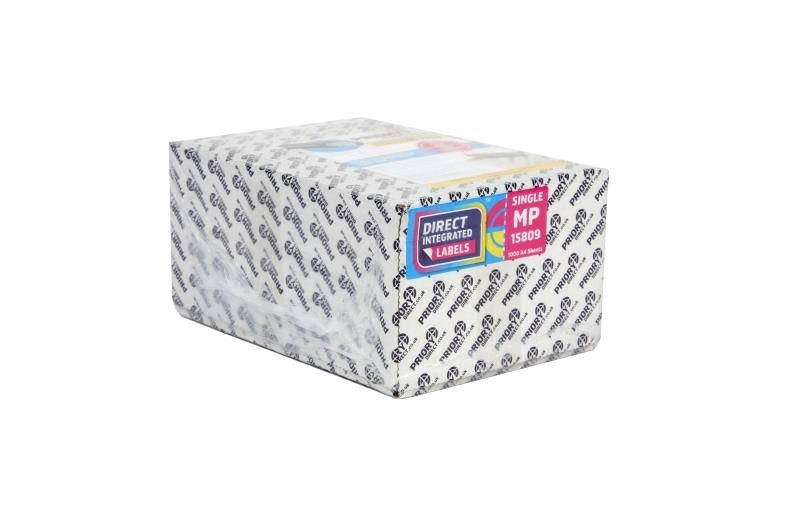 These labels also feature a horizontal perforation above the label area for easy removal of superfluous backing once the label has been removed. 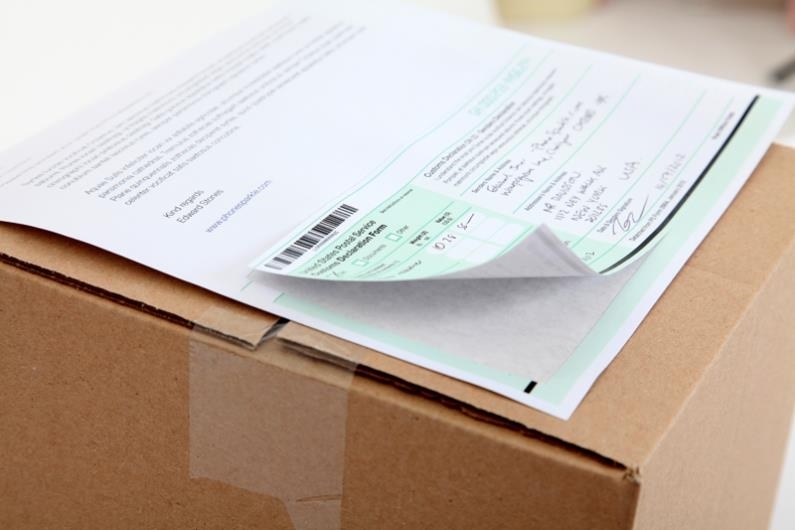 This makes recycling easier and helps keep correspondence looking neat.